A cat that was rescued on the outskirts of New Orleans during the aftermath of Hurricane Isaac in 2012, though it is presumably not the one which blew out the substation. 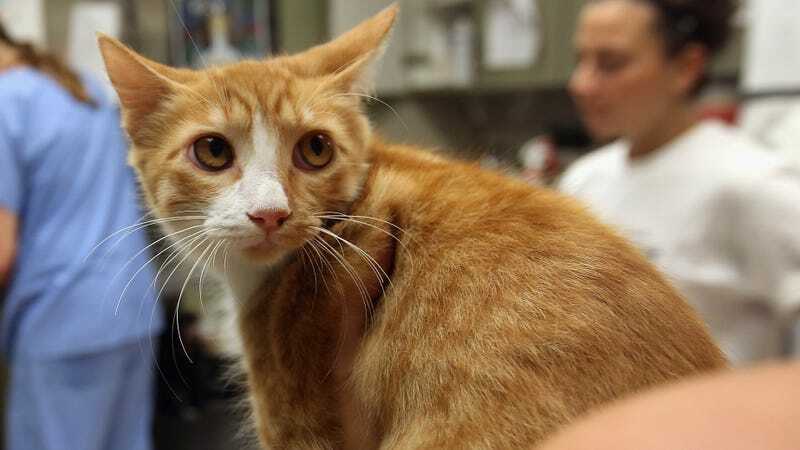 A cat that broke into an electrical substation and unfortunately perished after coming into contact with high-voltage equipment was responsible for a power outage that affected some 7,500 Entergy customers in New Orleans on Monday morning, the Advocate wrote. ... “It is unusual for a cat to get into a substation; generally, squirrels and other small animals find their way in,” the company said. “Entergy installs protective devices to help keep animals out of our equipment not only to avoid power outages, but also to keep animals out of harm’s way. Power was restored to most customers by around 10:00am local time, according to WDSU. The Advocate wrote that Entergy has been subject to a number of bizarre power disruptions in the past few years, including two separate incidents earlier in 2018 involving mylar or “metallic” balloons hitting power lines and another outage involving a squirrel that met the same fate as the cat. Though the cat in question may have unfortunately gone to Flash Heaven, it will have plenty of company there. As noted by Popular Mechanics, such incidents are not uncommon and have been caused by raccoons, rats, monkeys, an animal believed to be a weasel or marten that chewed through power lines at the Large Hadron Collider, and a chicken in Hawaii. These critters are survived by a flock of pigeons that short-circuited a Japanese substation in 2013 not by going out in a blaze of glory, but just pooping on the thing until it could take no more.